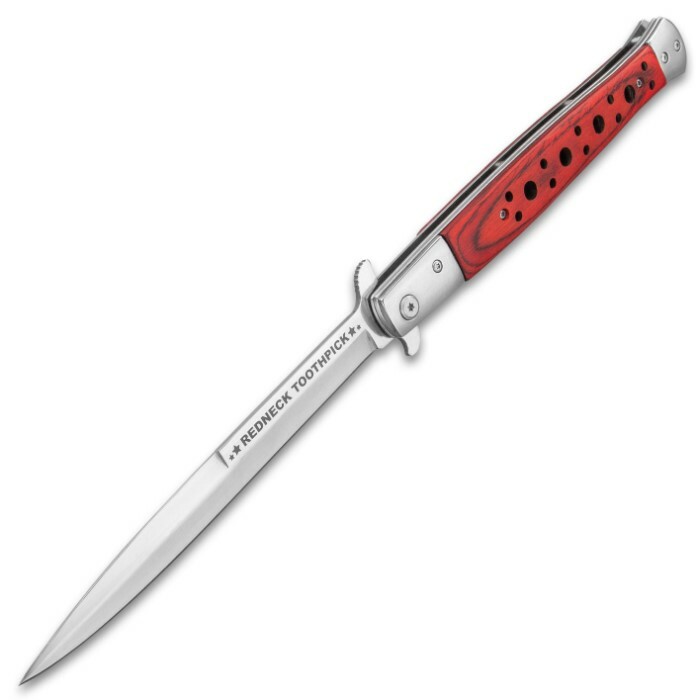 Ridge Runner Redneck Toothpick Stiletto - Stainless Steel Blade With Etch, Wooden Handle, Pocket Clip - Closed Length 7” | BUDK.com - Knives & Swords At The Lowest Prices! 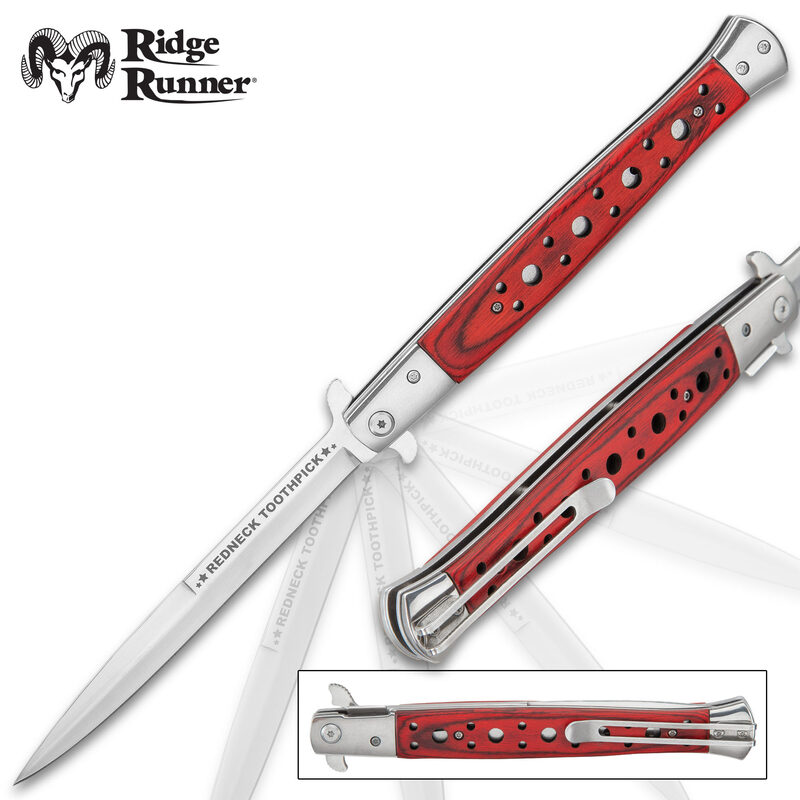 The Ridge Runner Redneck Stiletto Knife from Ridge Runner is one of the largest stilettos you’ll see out on the market today and makes a bold statement. The blade is etched with the fun message, “Redneck Toothpick”. The slim, stainless steel stiletto blade comes in at 6” and can be deployed lightning fast with the assisted opening mechanism. 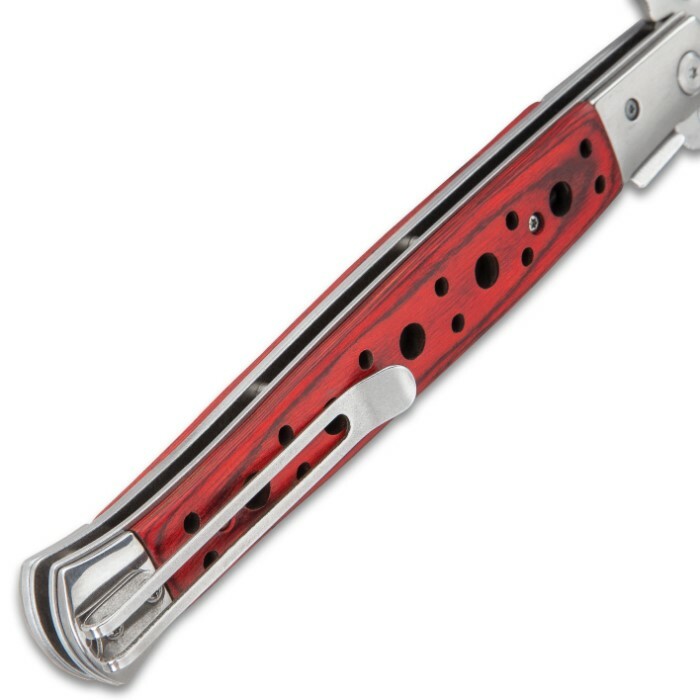 The brown wooden handle has decorative cutouts and features stainless steel bolsters and a pocket clip. 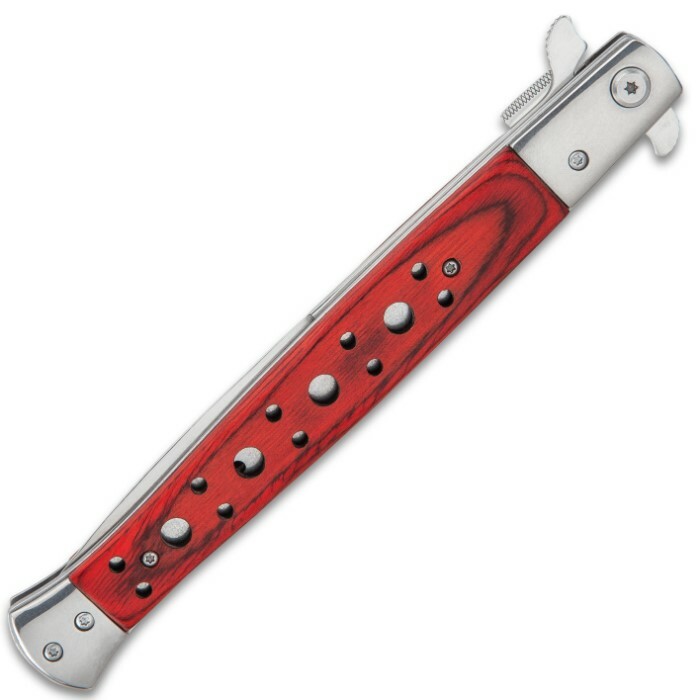 No one will be able to ignore this magnificent pocket knife! This knife qualifies for the title "pigsticker"! 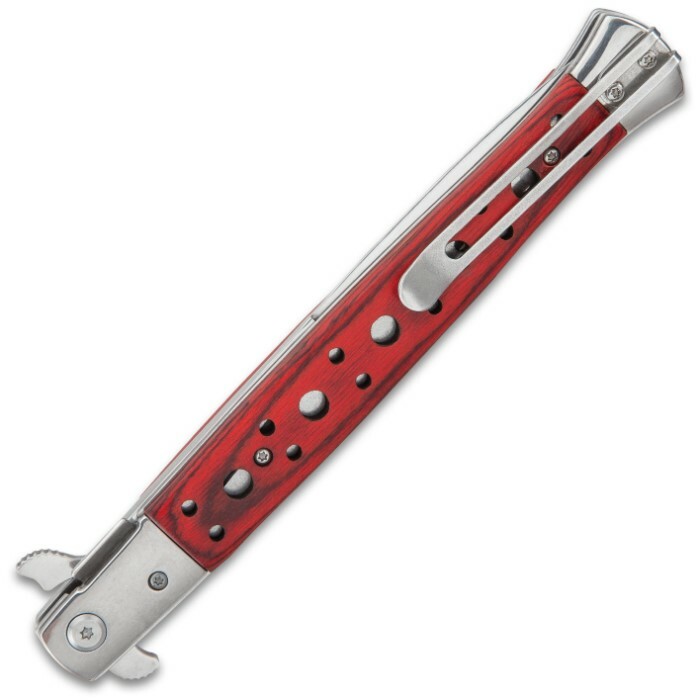 It's a beautiful, well made BEAST, hefty with a very nice blade! If you like BIG daggers, this one is for you.